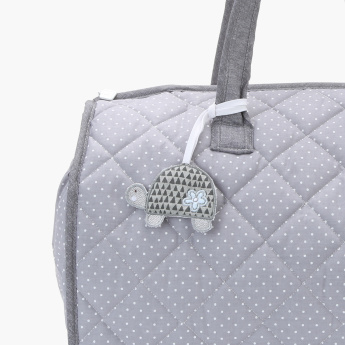 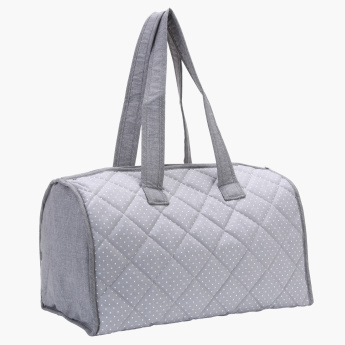 Travel hassle-free with your baby by packing all the child's stuff in this diaper bag. It has a quilted surface with printed detail that stands out making the bag a worthy pick. 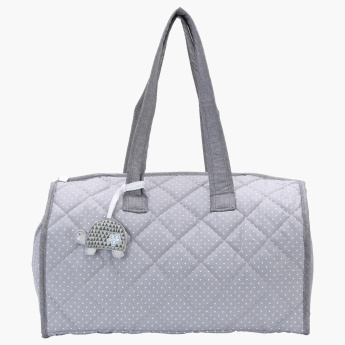 The side pocket can hold the child's feeding bottle with ease. 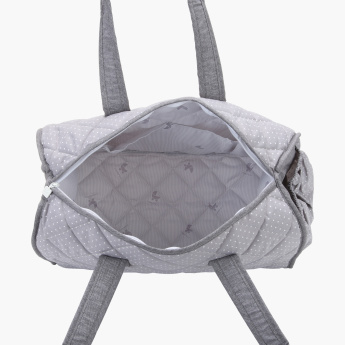 Feature 2 : exta long strap ensure you to carry bag easily.